People often ask: why do you live and work in Mississippi? It only takes a single news story from the shameful lists where the state is ranked 50th (education, health) or 1st (poverty, teen births), or one more hurtful and dangerous piece of legislation (HB 1523, the state flag) to provoke the challenge: how on earth can you stay? The natural landscape of Mississippi is spectacular. From sublime sunsets along the Gulf Coast to the wooded bluffs at the edge of the Delta, the green exhale of the swamp, willow-edged rivers, and the almost-African appearance of the pine savanna, there are few places with greater diversity. The variety of habitats spawn a host of wild creatures as if from a children’s alphabet – bear, bird, boar, and badger – along with plentiful game and vast flocks of migratory birds. The dangerous residents such as moccasins, rattlesnakes, and poisonous spiders enhance our observational skills and remind us that we trespass upon these lands. The impositions of man weigh lightly on the landscape; the farm buildings and brick chimneys captured for a moment on their slow decline back to mineral and organic roots, to nurture the soil for future generations. In this wild place, it is no surprise that we encourage children to explore. They are free-range, but if they get in trouble, the news will likely beat them home. Because of the state’s small population, everyone knows everyone, and communities often feel insular; this attitude is what drove my mother away, and brought me back. A seven year-old can ride his bike around town by himself. A nine year-old can walk along the beach with her friends with no adult supervision. Mississippi, for all its troubles, is a place where children learn independence through experience. That freedom to explore extends to adults as well, and the arts offer a broad catalog of luminaries from the great gospel and blues musicians to visual artists with national renown. 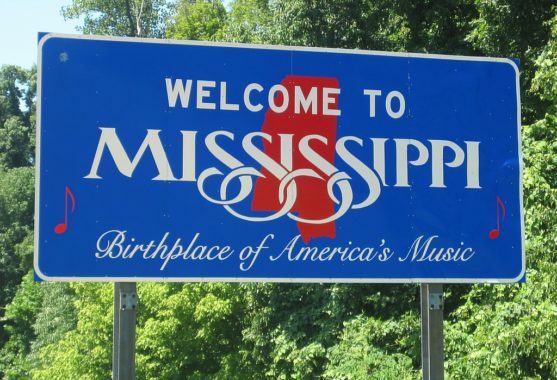 It was Mississippi writers who seduced me here: the opacity of Faulkner, the humor of Welty, the emotional depth of Larry Brown, the crisp prose of Donna Tartt, the piercing work of Richard Wright, are all works that sing of place. There are storytellers on every street and a legacy of lyrical narration that continues with Jesmyn Ward and Angie Thomas, chroniclers of today’s struggles in a culturally-charged world. There is work to be done here. Good work. Meaningful work. We are in desperate need of racial reconciliation, better education, economic opportunities, improved healthcare. We must plan for increasing storms, rising sea levels, an expanding floodplain. We need more transportation options, affordable housing, walkable streets. But because of the close-knit population of the state, we have access to the people who can change things… if only they will. In the meantime, we will continue to plan, to provoke… and to provide design excellence in Mississippi.